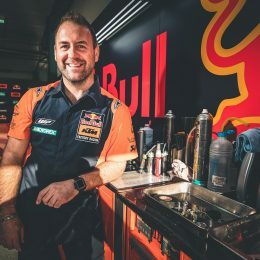 MX2 Team Manager and technical overseer of the Red Bull KTM Factory Racing Team Dirk Gruebel looks like a man who can handle a 450. The tall German places a large hand on the throttle of Jeffrey Herlings’ #84 race bike; the motorcycle that won five of the last six rounds of the 2017 MXGP series. 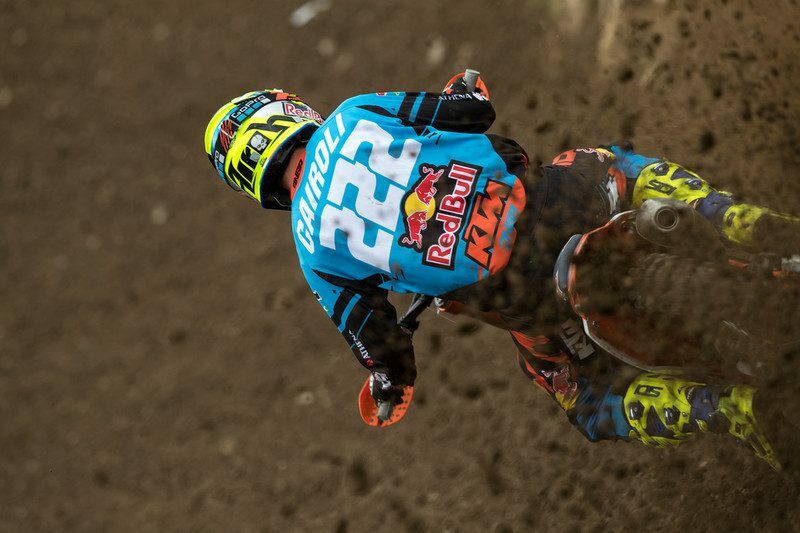 It is identical to the #222 machine, ten meters away in the race awning that carried Cairoli to a ninth career crown this season – the first for the model after the Sicilian posted five world championships in a row with the KTM 350 SX-F.
We are standing and talking under the Red Bull awning at the Pays de Montbeliard Grand Prix, the last stop on a long 2017 FIM trail. 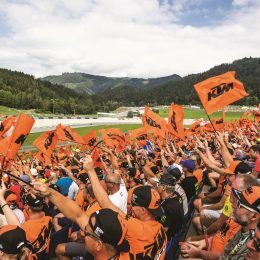 We want to know more about the technology next to us that has taken a total of twenty-five podium finishes and twelve wins from nineteen rounds. 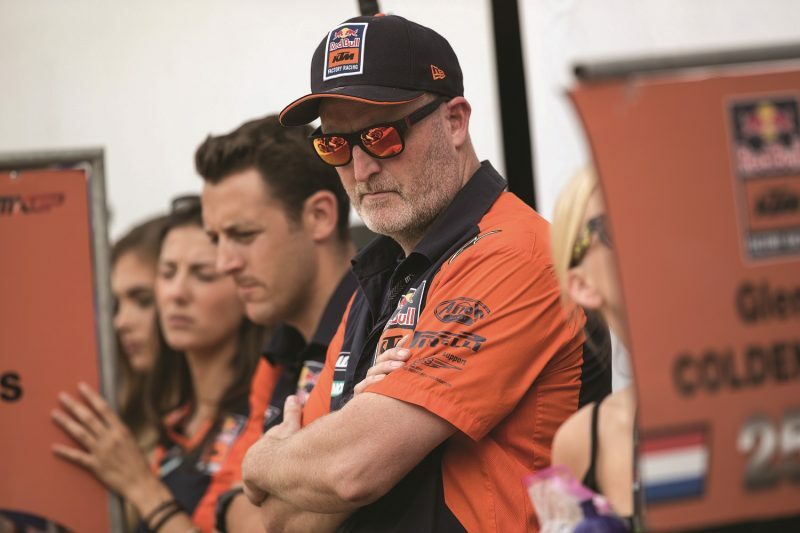 The bike has become the reference for the class in the hands of the Sicilian, the Dutchman and fellow countryman Glenn Coldenhoff through the rapid starts and consistent rate of high performance. 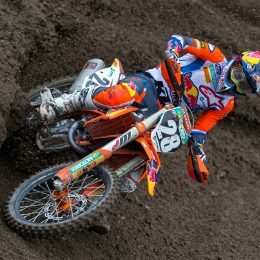 The only shaky moment in the victorious campaign came when a stone in Sweden popped Herlings’ chain free. Dirk, how would you evaluate the state and competitiveness of this bike we are looking at? The 350 wasn’t changed much over the years for Tony. 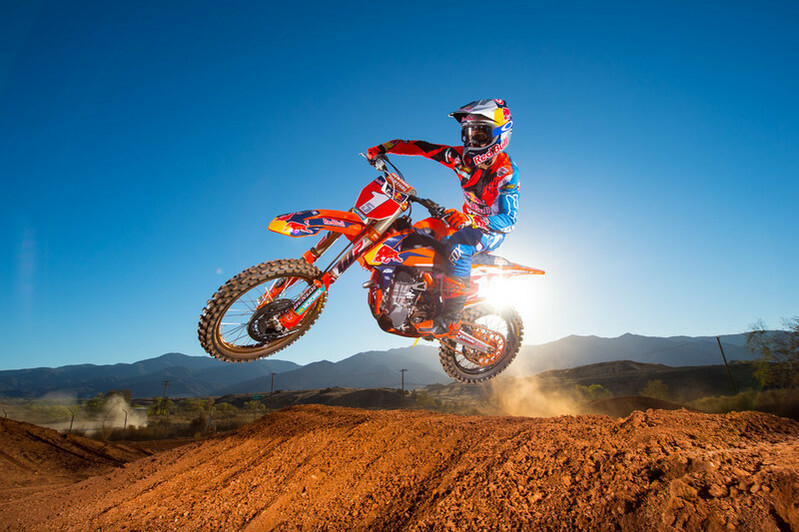 How much work has gone into the current 450 since the major revision that took Ryan Dungey to a lot of success? Going back to 2006 and the Tortelli/Pichon era and two years before that when Steve Ramon won the first ever MXGP (then MX1) moto on the KTM 450 SX-F: is that bike a world away from what we see now? What are the strengths of the SX-F now? People are always working for those marginal gains, so what for next year? Small tweaks? Even though you’ve led the way since round six and Jeffrey has been so strong in the second part of the season do you still have prototype parts coming through? 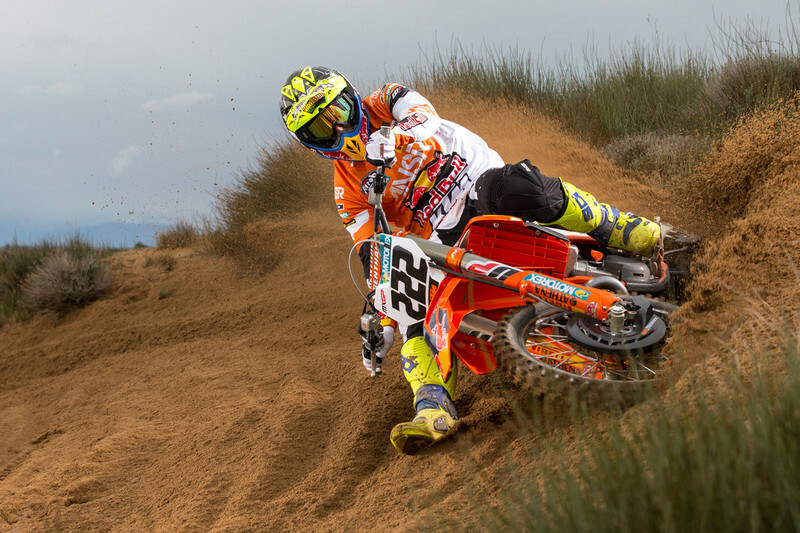 With the championship won in MXGP it fully closes the story of the KTM 350 SX-F: a bike that was supposed to be the answer to the power of the 450s. 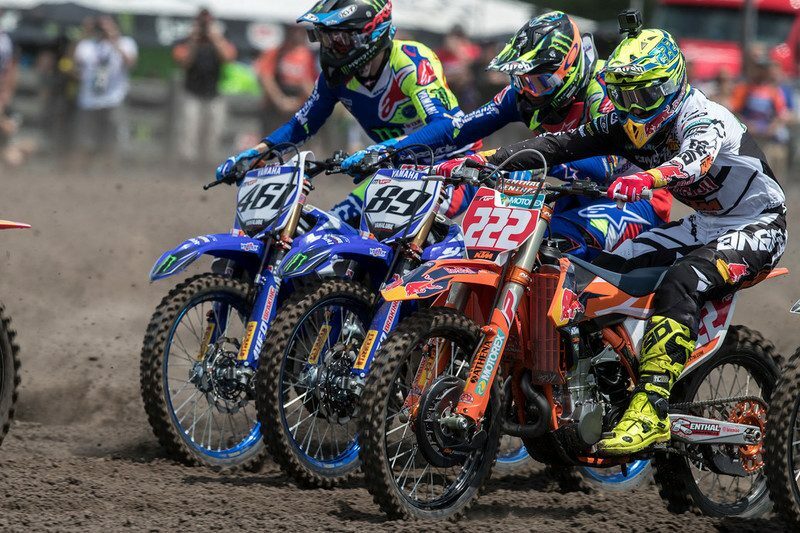 Was it the right bike at the right time but now the 450s have evolved?